In the last 10 days the police have visited 55,087 homes and arrested 1,577 suspects, according to official data. MANILA: Since the Philippines resumed its war against drugs 10 days ago with a promise of less aggression, 28 alleged drug addicts and drug traffickers have been killed in clashes with the police, media reports said. The victims were shot dead by officers after they allegedly resisted arrest in 979 police operations across the country since the beginning of the new phase of the campaign, Efe news cited a police report released on Friday. According to the report, 4,448 drug addicts and 231 drug traffickers surrendered to the authorities since the beginning of the second phase of the campaign on March 6. Duterte had temporarily suspended the war on drugs toward the end of January to weed out police corruption, after the first phase of the campaign left 7,000 dead in seven months, including more than 2,500, who were killed by the police. The war on drugs have been harshly criticized by other countries and international organizations for human rights violations. 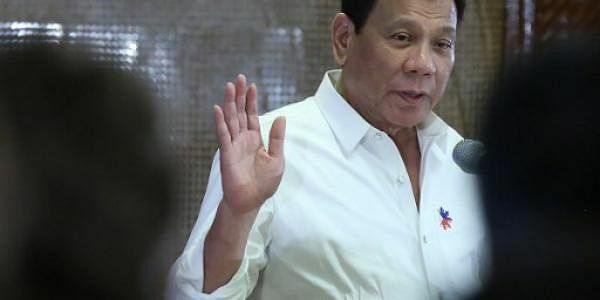 Meanwhile, the Philippines asked the EU and the UN not to interfere in its internal affairs, such as its war on drugs, the arrest of a senator critical of the government and the attempt to reinstate the death penalty. "We remind everyone, including international bodies, to allow us to deal with our domestic challenges without unwarranted foreign interference," said the Presidential Office at Manila in a statement addressed to the EU.